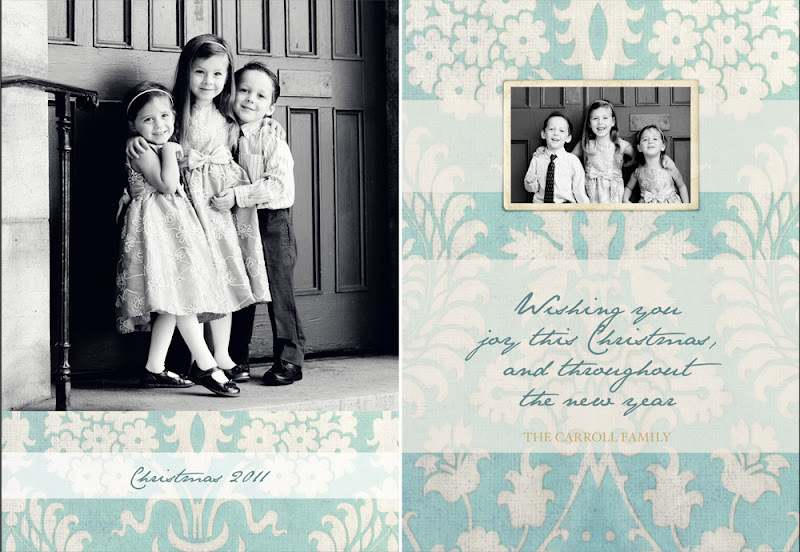 Beautiful family and cards, Mary! Hi Mary, what a great idea for your business. The last two samples are my favorite. The little babies are so adorable. I hope you have a great week ahead. Mary, Those cards are so personal and so lovely!! Meant to also say Happy Thanksgiving! Sorry, I almost forgot. I hope you and your family have a Happy Thanksgiving!! Beautiful cards, Mary. Beautiful family! Have a great week and a very happy Thanksgiving. Wonderful cards Mary! I'm sure your clients love them! These cards are all SO beautiful! These would be so much more personal and fun to send than the kinds of cards I normally buy. Maybe one of these days I'll have to try my hand at making my own cards with photographs. Don't have your eye or skill though! What a beautiful collection of cards! All the children in them are adorable, especially the little trio! Thank you for the links, Mary!I will be attempting to make bridal shower invitations for my daughter, and perhaps some of these links will be helpful? I'm not the most crafty person so I have much to learn and explore. I've been taking workshops to make cards with stamps and punches which are fun but there's something to be said for those made with photographs. Yours are lovely. 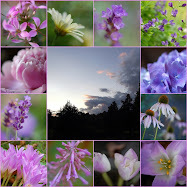 I love your unusual mosaic and the beautiful photos. Christmas just around the corner! what delightful cards you have made. Oh for the time to be so creative. Have a wonderful week and thankyou again for the opportunity to be a part of Mosaic Monday. Mary, all of the cards are wonderful! Thanks for sharing them with us. Happy Thanksgiving! Your cards are beautiful I especially love the B&W one of the three children. So cute! Beautiful cards, Mary. They would be lovely even emailed and not printed. Thanks for being such a wonderful hostess for Mosaic Monday. Happy Thanksgiving! These cards are mini works of art!!! Well done!!! Applause!!! Love, love the cards! Cute family! Lovely Mary, absolutely lovely. It looks like a project to keep you plenty busy alright! Nice to see your photography business taking off a little at a time. I used to be early with my cards but now with the price of stamps, I'm not sure I'll send any. Thank you for the links. I'll have to check out the Graphics Fairy. Enjoyed your blog! Fun to happen upon one while viewing another! 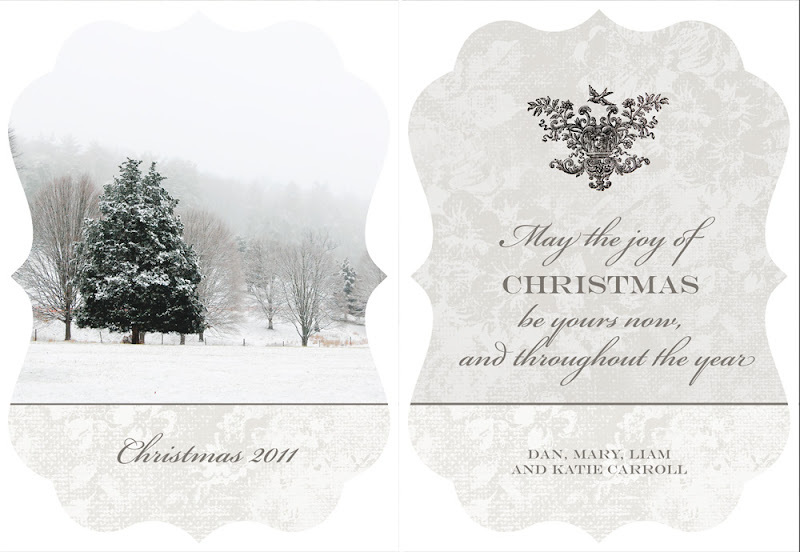 Very lovely Christmas cards. Love them all. Mary these are darling. Puts me in the mood. I always paint all my hands I only send a few so it does not take long. Be sure to use the new Christmas stamp unveiled in my town Friday. It is on my Sat. post. Blessings. Mary these are wonderful. 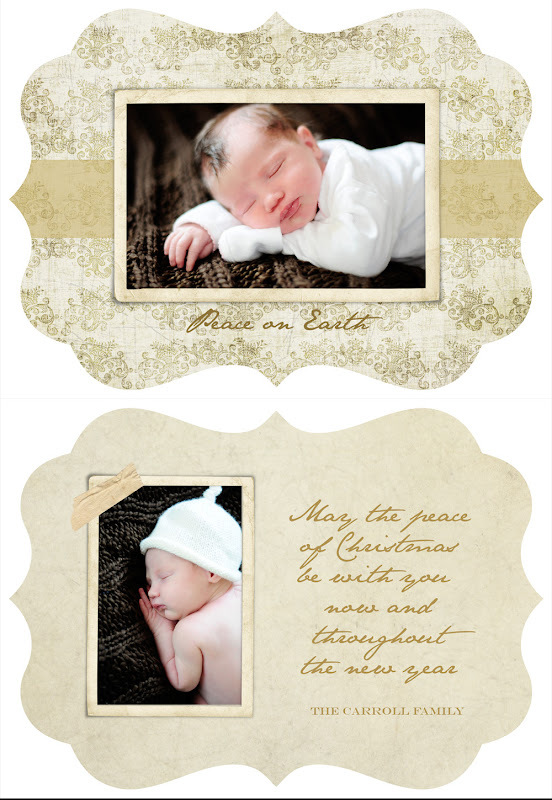 They make me want to get my act together so I can send out cards early this year! I love your card selections, Mary. My sister and I have decided to make our own cards this year. Thanks for hosting Mosaic Monday. Your cards are absolutely stunning! They all have such a personal feel to them. Beautiful layouts. My granddaughter has created some art that I think I am going to use as our Christmas card this year. Thank you for sharing all of these lovely cards. Ssometimes your cards never get sent? I am SHOCKED, I tell you, shocked! Yes -- Mary, we are peas in a pod in that regard. I used to just send out New Year's cards, knowing I'd never get them out in time for Christmas. One year it was Epiphany cards! I drew the line at Groundhog Day cards, though. If I went past Jan 6, I'd just say, "Oh well, next year." Your cards are beautiful -- very dreamy and evocative. Love the one you are sending this year. The last couple of years I will admit to not sending any cards out either...I do love your selection though...That photo of the children in front of the doors is a favorite of mine! The cards are simply beautiful. I know that your friends and family will be thrilled to receive such a beautiful card from your house. It is so elegant and lovely. What a talented photographer you are! I love the Christmas cards. Such sweet children. Mary I love your cards and your work. Thanks for leaving the link up. I haven't been able to be here in a while and had a post but I couldn't load my photo's yesterday. I finally got it up today and combined it with my Tuesday post. Hopefully next Monday I'll get it up on time! I love visiting on Mondays. Thanks for doing this. Have a great Thanksgiving. 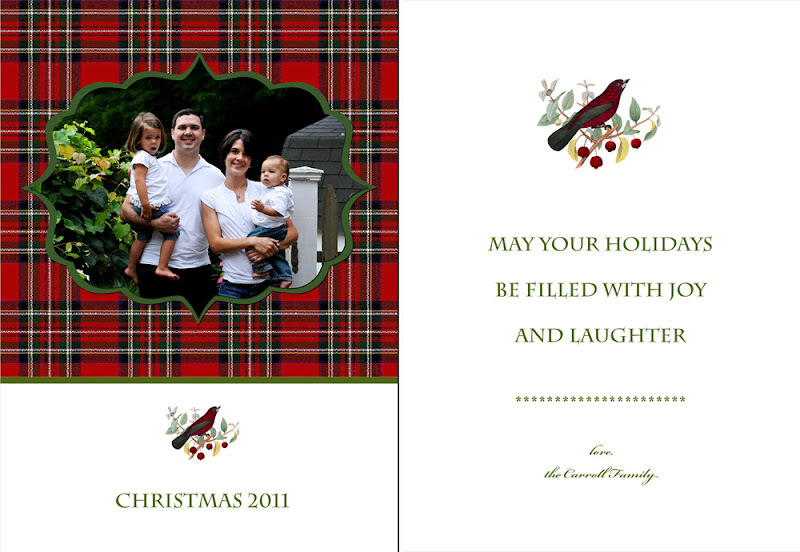 Your portrait Christmas cards are really special...such sensitive combination of graphics and the photography. Truly beautiful Mary...you are so far and away more talented at this than anyone I know. I envy you!